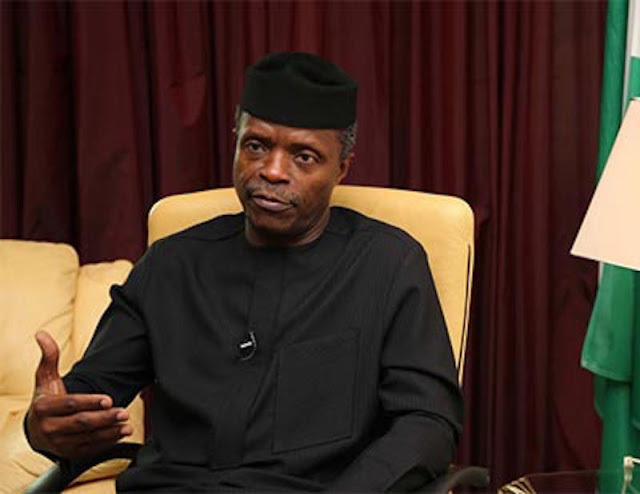 Vice President Professor Yemi Osibajo has praised Chairman Integrated Produce City in Edo State, Prof Pat Utomi for investing $136 million in the agricultural sector. The Vice President, represented by Governor Adams Oshiomhole said “the timing of the project couldn’t have been better. “Not just because it confirms what we have been saying to people over the past two or three months. We have said to our people that we could create jobs over two hundred thousand jobs, God giving our candidate, Godwin Obaseki the mandate. He continued, “When there is no place for youths to work, once they grow up, they will leave the village for the city to look for jobs. So, to bring those children back, we need jobs around here. So, when they work here, they will be with us. I am glad that you have seen the link between this effort and your security, and even those hoodlums will see that it is better to work than to be engaged in kidnapping and other vices they have been committing. “On our part, we want to assure you that every support that you need, it is in our own self-enlightened interest to bring it. For now, our attitude is to provide all the incentives that government can provide, both at the federal and at the state level. The one by the state, you can take it for granted. Earlier in his address, the investor and initiator of the Integrated Produce City, Prof. Pat Utomi said, “It is not every day that one has the privilege of being part of history. He continued, “I am confident that Nigeria’s long advertised desire to diversify the base of the economy will truly begin with this concept of an integrated produce city. What we initiate today is a combination of farm settlement with several modern farms and outgrower’s scheme reaching out into six states around here: Ekiti and Ondo, Delta, Anambra, Kogi, all those states are part of the catchment areas for this integrated complex of modern farms with their out-growers schemes and an industrial part in which we expect at least fifty factories, the commodities market, the commodities exchange plus incubator to stimulate entrepreneurial activities across the agro-allied value chain.